There have been two Russian cruise missiles in the news lately. 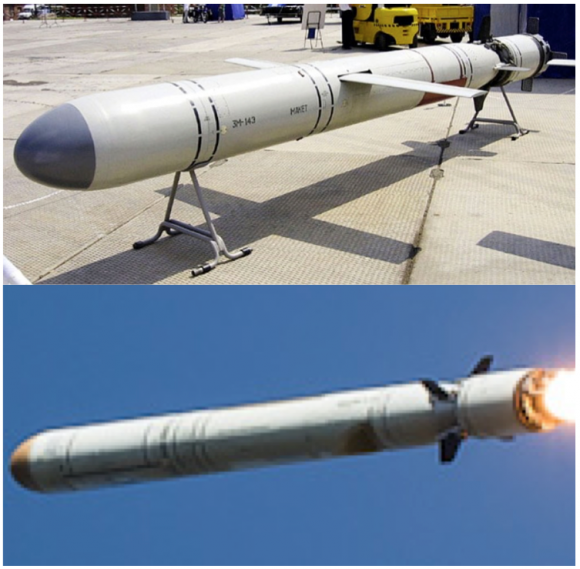 One is a ground-launched cruise missile that apparently violates the 1987 Intermediate Range Nuclear Forces Treaty, the other is a sea-launched cruise missile that Russia recently fired against targets in Syria. Both of these cruise missiles are made by the same firm, Novator. I have a sneaking suspicion that they are closely related. In fact, I bet they look exactly alike. Here is my best effort at a hypothesis. It is speculation, since the United States is not releasing any information about the missile that violates the INF treaty. But I think we can make an educated guess or two. We know the 9M728 is the Iskander cruise missile. (It is also called the R500 — the name of the missile is different from its GRAU number.) The way Russian GRAU numbers work is formulaic — the 9M means it is an Army missile. That means the 9M729 is also for Iskander or a new launcher that we have yet to see. Let’s presume that the 9M728 is a reduced-range version of the 9M729 — an INF-compliant version of its bigger brother. That’s not hard to believe — Russian officials have long said they could extend the range of the cruise missile for Iskander beyond 500 km with little difficulty; their confidence was probably rooted in some evidence. Patrick Lyons, writing in the New York Times, recently reported that the Russian cruise missiles used to strike Syria were SS-N-30A sea-launched cruise missiles. 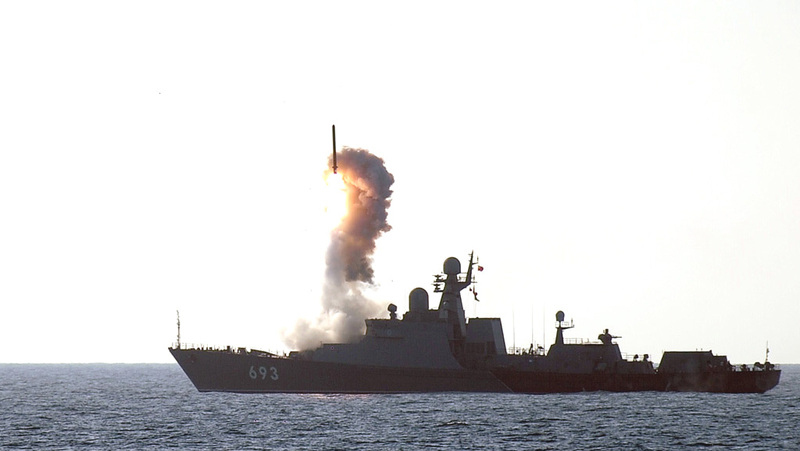 These missiles are referred to as the Kalibr, which is actually a whole family of Russian sea-launched cruise missiles. Now, this is where it gets tricky. We know the Russians make an export version of the Kalibr family missiles, which they call Klub. So, Klub missiles are reduced range versions of the Kalibr systems that can be exported without violating the MTCR. (You may recall they are marketed with the awesome video about how great it is to hide cruise missiles in shipping containers.) So, for example, the 3M14E (e is for export) Klub is a reduced range (~300 km) version of the 3M14 Kalibr that Russia used to strike Syria (2,000 km). It is hard to know how Russia reduced the range, but one option is just to reduce the size of the fuel tank. It is possible that the Kalibr and Klub versions are externally identical, although we don’t know that for certain. The few images we have of the domestic-use 3M14 suggest it looks a lot like the e-version for export. Image on the left is from Russian Stealth Frigate “Dagestan” (Project 11661K); image on the right is from Russian Stealth Frigate tests new missiles in Sea Trials. But there is one resemblance that is really quite attention grabbing. It is this one, between the shorter range versions of each missile. If the 9M728/R500 deployed with Iskander (~500 km range) is a reduced range version of the 9M729 (~2000 km), and if the 3M14E is a reduced range version of the 3M14, what does it say that the reduced range versions appear to be identical? That would strongly imply, to me anyway, that the 9M729 and the 3M14 are probably externally identical. We are looking at a single family of missiles. Now, I want to be clear about something. This does not/not suggest that Russia’s violation of the INF Treaty is a technicality — quite the opposite. Under the 1987 INF treaty, the United States was required to eliminate the BGM-109G Gryphon, which was the ground-launched variant of the well-known Tomahawk family of sea-launched cruise missiles. The 9M729 missile has an Army designation and, according to the State Department, a launcher. This isn’t the Russians being lazy and testing a SLCM from land. I made a little chart to help our Russian partners better understand the scope of the treaty, illustrated with the Gryphon and the Tomahawk. One benefit of concluding the the 3m14 and the 9M279 are likely similar is that we can infer something about the range of one based on the other. The United States has not offered a public assessment of the GLCM range, but the Russians have described the range of the 3m14 (SS-N-30A) as 2000-2500 km. That would imply a similar range for the 9M729 (SSC-X-8), depending on the type of warhead. On other words, we have a heck of a problem here. This discussion seems rather theological to me. The missile sitting on top of a sea launcher is ok, but the same missile on top of a ground launcher is not ok. So, what evidence to we have of a dedicated ground launcher? The missile has its own GRAU number that indicates it is assigned to the Army. Right, but does the GRAU number refer to a conventional/ nuclear warhhead capability, or to the range? Or both? In any case, if the missile can be fired from a container launcher, then is it a sea based launcher or a land based launcher? If it is on a truck, then it is likely a ground based launcher and if on a ship, then sea. But what if the truck is on a ship? Why am I reminded of Monty Python’s Holy Gourd of Jerusalem scene? What is the source of “the bottom [image of] the 9M728 (R500)”? The link goes to Klub. If I remember correctly, 3M14 and R-500 are about 6 meter-long missiles. The missile launched to Syria (Kalibr-NK) looks like a longer (about 8 meters) missile. Something doesn’t quite add up. I haven’t seen a reliable measurement. It is possible the reduced range versions, having less fuel, aren’t quite as long — although the reduced range SCALP/Storm Shadows sold to the UAE and Saudi Arabia are externally identical to the full range version used by France and the UK. Sill, the range reduction in that case was much more modest than going from ~2000 km to ~500 km. Still, the layout of the missiles is nearly identical, which suggests to me they are close relatives in the Novator Family. The difference between 6m and 8m is large enough to detect even on a video frame. I thought you have a small army of people who are good at exactly this kind of things down there in Monterey. Yes, it is possible that a long-range version is a longer missile. Or maybe it’s a somewhat different missile. I’m not sure looking at a “short” missile tells us anything about the “long” one. I’m not sure I understand your “not a technicality” point. We know that this is what the State Department says, but you would expect them to say that, now that the whole thing has been elevated to a formal noncompliance accusation. It has been pretty clear from the very beginning that whatever that GLCM is, it would be very much identical to a SLCM. The only real difference is the launcher. You say that “according to the State Department, [9M729 has] a launcher.” I’m not sure they ever said that. Do you have the source for this statement? The first sentence reads a bit rudely. You try making those estimates; it’s not so easy. In any event, I don’t think length is the crucial parameter, since the main difference may be fuel loading. The overall layout and design of the missile is identical. 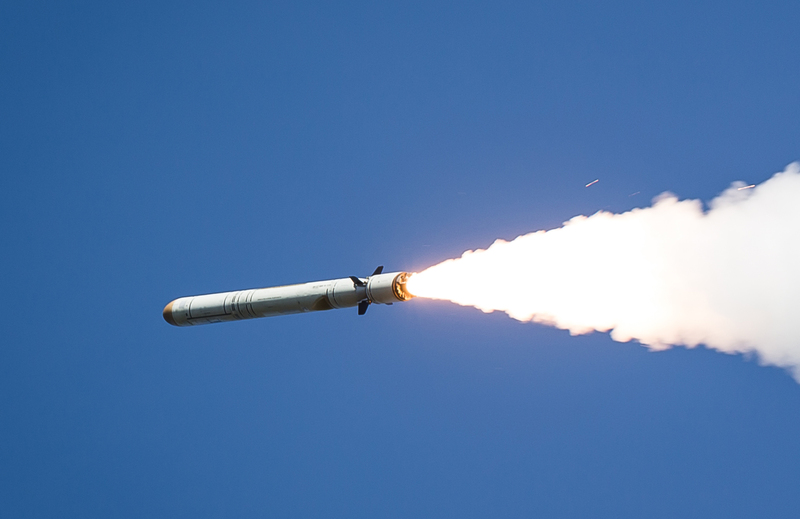 The point is very simple: The INF treaty prohibited the US Army’s BGM-109G Gryphon, which was a ground-launched variant of the Tomahawk family. Similarly, if the Russian Army’s 9M729 is a ground-launched variant of the Kalibr family, then it violates the treaty. Read the Compliance Report’s “Compliance Analysis” — it is as much about the launcher as the missile. What I hope is that it has a dedicated launcher; because if it uses the Iskander launcher, this is a nearly impossible problem to solve. Sorry if it came out rudely, if only just a bit – that was never intended to be that way. In fact, it was an attempt in a compliment – you do have highly qualified people there, don’t you? I’ve seen the stuff you did with North Korean missile and Iranian centrifuges. By the way, I have a that R-500 photo in better resolution http://russianforces.org/R500.jpg if anyone wants to try. The Compliance Report does refer to the treaty articles that deal with launchers, but nothing there is incompatible with a scenario in which SLCM was launched from a “non-fixed” launcher, which may be one-of-a-kind TLE and which, for all we know, may have been borrowed from a different program. I don’t think any U.S. official ever said that there is dedicated TLE that was built to launch the suspect missile. Maybe there is, but they have never said that. My point about the length is that we can be certain that the launcher (whatever it is) is not Iskander TLE – a 8-meter missile won’t fit there. And all we have seen so far is that the long-range missile is about 8 meters long. I am not a cruise-missile expert, but my guess would be that going from 6 m to 8 m is a pretty big change – the aerodynamic is different, center of mass and center of pressure would move, etc. So, I think it’s more likely that the 8-m missile is quite a different missile. You show quite convincingly that 3M14 and R-500 are essentially the same missile, but I’m not sure it tells us anything about the INF culprit. I might have been extra touchy. It is very hard to extract size from images. 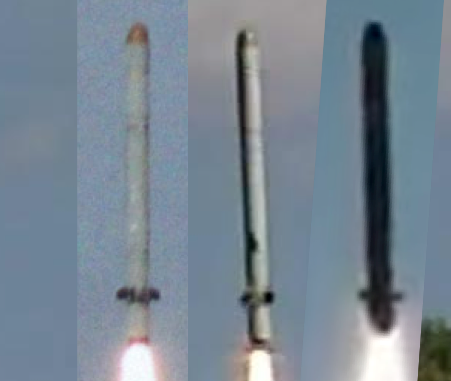 We’re trying to do it, but as the two images — which purportedly show the same missile in launch and impact — demonstrate, estimating size is very sensitive to other factors. I need a clean image of the SS-N-6 to make a reliable estimate of its length. Why SS-N-6? As for the Kalibr-NK, there are shots that are relatively easy to measure. For example, this one – http://i2.wp.com/news.usni.org/wp-content/uploads/2015/10/Dagestan-UKSK-Shot.jpg. It’s Kalibr-NK launch from Dagestan frigate. We know that the diameter of the missile is 533 mm. 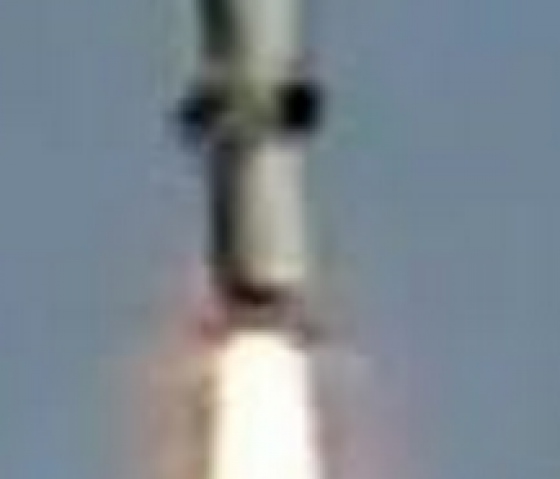 Admittedly, the quality of the shot is not very good, but there is no way it’s a 6-meter long missile. I am assuming that the black shape is a 3M14 because that is what Moscow said it was. But perhaps the people who released it mixed it up. Those shots are not easy to measure. The resolution is poor and there are no easily used points of reference. They look like they are the same size to me, but I just am not confident in that judgement. The point of reference is the diameter of the missile. It’s 533 mm. A few additions to the discussion. There are two separate TEL/transporter-erector-launchers for the Kalibr-related cruise missiles: one intended for the navy and one intended for the army. They are not the same systems though the missiles may be nearly identical. The naval Club-M TEL armed with the naval 3M14E land attack and 3M54E anti-ship exportable cruise missiles debuted publicly in model form at the IMDS show in St. Petersburg in 2007 prior to the debut of an actual TEL at the MAKS-07 air show in Zhukovskiy in August 2007. The launch vehicle uses same MZKT-7930 Astrolog heavy truck chassis being used with the 9P78-1 TEL of the army’s 9K720 Iskander ballistic missile system. The Club-M TEL is very similar to the Iskander TEL except that the rear compartment roof has been raised to accommodate up to six launchers (The TEL at Zhukovskiy only had 4 launch tubes). In addition, a wind-shield has been added over the cab to blend the extended roof into the body. The vehicle on display at MAKS-07 was armed with the 3M14KE and 3M54KE export missiles. There is extensive photo coverage and descriptions on the Russian website: http://bastion-karpenko.narod.ru/CLUB-M.html. The Club-M is advertised in Novator and Rosvooruzhenie/Rosoboroneksport brochures as a coastal defense missile system that also has the capability to launch land-attack missiles. So the firing battery has specialized equipment associated with the anti-ship role not found in the army system, namely a surface-search radar vehicle for locating naval targets. The communications/fire control vehicle (MSiU: mashin svyazi i upravleniya) houses a retractable Mineral-ME surveillance radar at the rear of its shelter and the shelter contains the 3R14TsE fire control system. I have not seen any information whether a domestic Kalibr-M version of this land-based system has been adopted by the Russian navy. The land-based system may be primarily intended for export as part of the whole Club export missile package. The new TEL is externally identical to the original 9P78-1 TEL used with the baseline 9K720 Iskander/Tender. There are good photos of the upgraded TEL with cruise missile launch tubes on the website: http://militaryrussia.ru/blog/topic-817.html. The actual designation for the army’s upgraded/hybrid ballistic missile/cruise missile system may be 9K723K1 Tender-M with the 9P81 TEL. The first reported test launch of the army’s 9M728 cruise missile was 2007. The system was accepted for army service around 2011 with press reports of contracts to KBM. At least four independent missile brigades (12 TEL each) had been deployed by 2014 according to Russian press accounts. The plan was to deploy two brigades per year, so other units may have been deployed since then. Open Russian sources have not discussed the difference between 9M728 and 9M729 but they may refer to conventional/tactical nuclear variants. AFAIK, the Iskander-M hybrid missile system has not yet been offered for export, though the baseline Iskander with ballistic missiles has been offered for more than a decade. Since the army cruise missile system has been deployed, this may be at the heart of the INF controversy. This is super. I am glad you also think the Army 9M728 cruise missile appears to be externally identical to the navy’s 3M14 Kalibr/3M14E Club land-attack cruise missile. The original source is ambiguous, but suggests there is the 9M728, 9M729 and a follow-on. One possible revision is that the 728/729 are conventional/ nuclear and that the “follow on” is the problem. I am not sure that the export Club and the Kalibr are identical in length. Rather my point was that the Army 9M728 appears to be very similar to the photos of navy Kalibr missiles. Some of the Club models that Novator has displayed at international shows appear to be shorter and stubbier, but I have not made an effort yet to try to determine length differences between export Club and Kalibr. I understood what you meant. I don’t think relatively small differences in length are terribly important in this case, since what we see if a family resemblance. I spot one difference – grid fins at the aft end of the missile on the top (Klub) photo. Slight extension of the booster section with grid fins. The section may detach at some point in booster burn, after it’s moving fast enough the main cruise missile aft fins are aerodynamically effective enough. Odd that you’d do so when the booster is about to fall off in a few seconds anyways, if that is what it is, but it’s possible. Well, it looks like the little grid fins might yet be present on the booster for R500. See attached. I’m being told that these fins are for underwater part of the launch. So, the Klub on display is the submarine-launched version of the missile. Thanks, Pavel. I guess the yaw and pitch are more under control in a ground or surface ship tube launch, versus emerging from the water where hydrodynamics and waves may have put things out of alignment. I assume it can be torpedo tube launched, is it also vertically launched from sub VLS tubes? Yes, as I understand, a launch from a torpedo tube is an option. It’s a 533 mm-diameter missile. My question, which I’ve been asking for a while, is how sustainable the INF Treaty is over the long term. When one studies one of its original reasons, it was in part due to a recognition that the very short flight time by IRBMs in Europe was inherently destabilizing. And yet, with new NATO members we have the ability to reach targets very quickly with much more lower ranged systems. How much warning is there for delivery by DCAs carrying B61s or other warheads. It’s about 400 miles along the M9 from Latvia for example; that’s not a huge amount of warning, especially if the F-35 delivers on its LO promises. Also, given the amount of focus Russia is giving to its shorter range systems, and given the possibilities firing from Kaliningrad, how much incentive does Russia have to keep this treaty alive? Stealth strikes that need to be timely are less stealthy; airfields are known locations, and just having audio pickups near them will confirm takeoffs. Near-border takeoffs not accompanied by identified / radar detected aircraft are covert stealth flights. If all the ready planes roll off all the runways everywhere without warning, outside of a planned exercise, and don’t show up on radar, then people are going to ratchet up air defenses and look for signs of incoming air raid. Stealth strike planes make it more likely they’ll retaliate but they’re more likely to sit watching what their air defense people are saying until/unless one is firmly detected across the border. Cruise missile firings can be from large uninhabited areas and other than via orbital IR detection of the launch booster transient, very hard to notice. They’re slow enough that you get some reaction time, but inherently hard to notice. You might not get any warning, you might only get enough to know one or more are in flight but not where to. They encourage a launch or leadership delegation on detection (real or false). Which puts everyone in a horribly unstable normal operating posture just by being there. IRBMs were pretty much designed to fall inside the gaps in the OODA loop of a strategic deterrence organization. They’re very visible but very hard to react to other than by firing a retaliatory strike on warning, which then puts everyone in a horribly destabilized standard day to day operating mode. Yes, an intentional “we snuck a stealth strike plane into Moscow with a nuke” could work, but you could always have done some scheme like that anyways. It’s not like there wasn’t always significant air traffic (and when it comes down to it, ground and maritime) into Moscow. That was a background risk since nukes came on scene, and C3I systems tuned up to handle those risks over 65 years. The INF weapons encouraged far more abrupt and less careful response and escalation patterns. 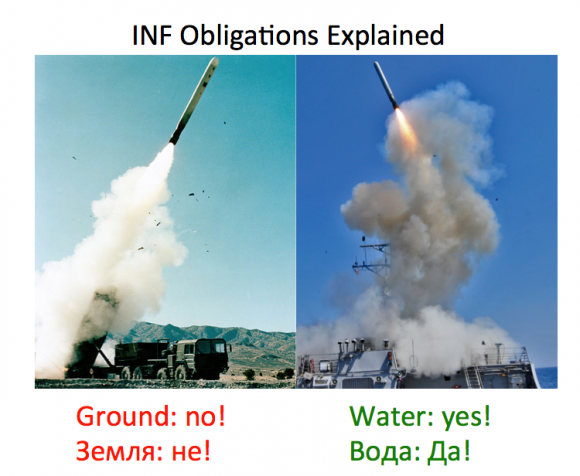 Maybe this is the wrong place for this, but is there any clear reason why sea based systems are excluded from the INF treaty? My only idea is that it limits the locations that they can be placed and therefore the territory that can be hit. Also couldn’t a sea based cruise missile be launched from land? Like with the Russian sea container idea, why not just set it on land? Short answer: treatiez be crazy. Long answer: Flight time’s always been an important issue. If the time it takes a nuclear attack to arrive is extremely small, the theoretical defender / responder / about-to-be-a-fine-pink-mist type person has far less time to hit back. So if your opponent can strike you in a very tiny amount of time, you need to be on a hair trigger to ensure you can hit back reliably enough for it to be a deterrent. Or more of a hair trigger. A *hairier* trigger. What’s more, you need to tell everyone you’re on that hairy trigger so they’ll know not to mess with you. No point having a deterrent if no-one believes you have it. If you don’t believe you have *time* for a call to the Kremlin to double check you’re under attack, this is a recipe for misunderstandings, disasters, and eradications of all life. Anyway, the rule is no intermediate range (land based) missiles that might carry nukes, because unleashing nuclear armageddon by accident would be (if very briefly) embarrassing. But the problem there is that ships would really rather like to shoot stuff at about that range. Of course, only very large expensive navies would like to do that, but it just happens to turn out that the big boys wot make treaties have large expensive navies. Less cynically, the Russian fleet would get its arse handed to it in a straight up fight with the US. They feel they need anti-ship intermediate-range nukes to have rough parity. It’s good to keep everyone feeling secure for a bunch of reasons (stops some kind of arms race, for one). Added insurance is that the Ruskies keep their little nukes on shore, so the hair trigger only has to happen after a serious week of escalation. You don’t need a massive response on standby 24/7, which massively alters the risk profile, because the ships need to come home, get the warheads loaded, and get back out. Or at least the ships in port have to get loaded and sent – still though, you don’t have to worry that those ships right over there are about to wipe you out. So the problem we have here is that a treaty meant to make everyone feel more secure could be seriously undermined. If Russia has these things actually deployed and operational on the ground, and we know they can carry nukes, it means loading and deployment is less obvious, and the locations of the weapons are less obvious, and a flock of birds coming out of a random bit of forest might look like a nuke that needs you to respond. Countering a flock of birds with an all-out nuclear strike is what is called in the biz a “sub-optimal outcome”. The extra sneaky bit about the Kalibr is that pic with it hidden in a shipping container. Imagine how hairy your trigger has to be if every single container ship coming into New Your harbour could have a pack of 2000km-range nuclear missiles in it. The hairiest of all triggers. Hairier than my Aunt Gladys, that’d be, and *no-one* wants to see that.